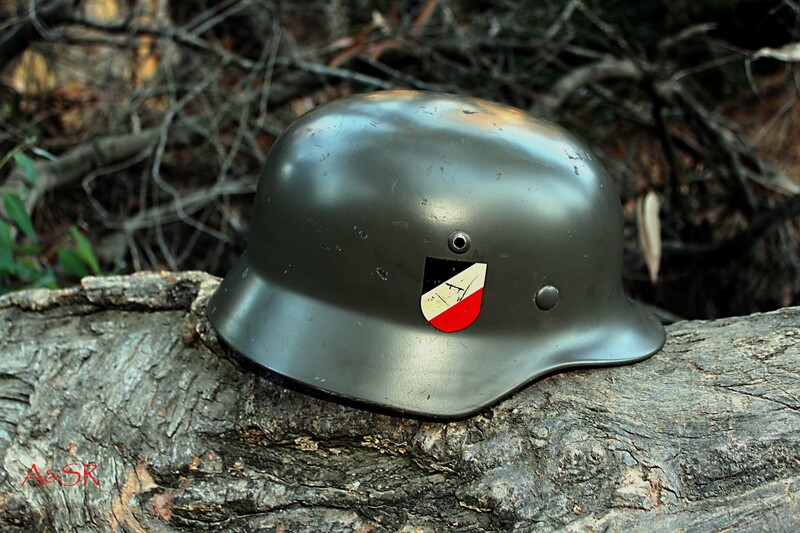 In the last few years German helmet restoration has become a competitive business. As a consumer you have a lot of choices, and no doubt you want to get the best value for your dollar. No one wants spend 300 plus dollars on a helmet that has been restored incorrectly or poorly. I think it’s important to explain what sets my restorations apart from some of the other choices you’re likely to encounter. 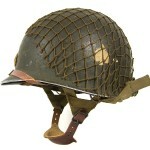 Each one of my restorations is done with the care and attention to detail I would give one of my own helmet. I do not cut corners. I work hard to give you the restoration you are looking for. With each customer I like to trade as many e-mail or have as many phone calls as possible to make sure I am providing them with what they want. 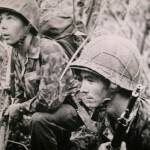 I only use materials (provided they are still available) that would have been available during the era the helmet is representing. I use only oil based enamel paint. The paint is either applied with a pneumatic paint gun or by hand as the situation dictates. I do not use acrylics, water-based paints, or caned spray paints to do my restorations. I have done a lot of experimentation with different methods of painting and the only way the finishers will look and feel correct is if they are done the way it was done back then, with a paint gun or by hand. While it’s true there are companies that sell field gray paint in a spray can. 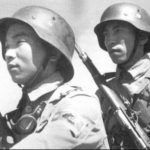 Helmets that are painted with this paint look okay from a distance but the paint lacks the quality, strength and overall feel of real oil based enamel paint that is applied with period methods. 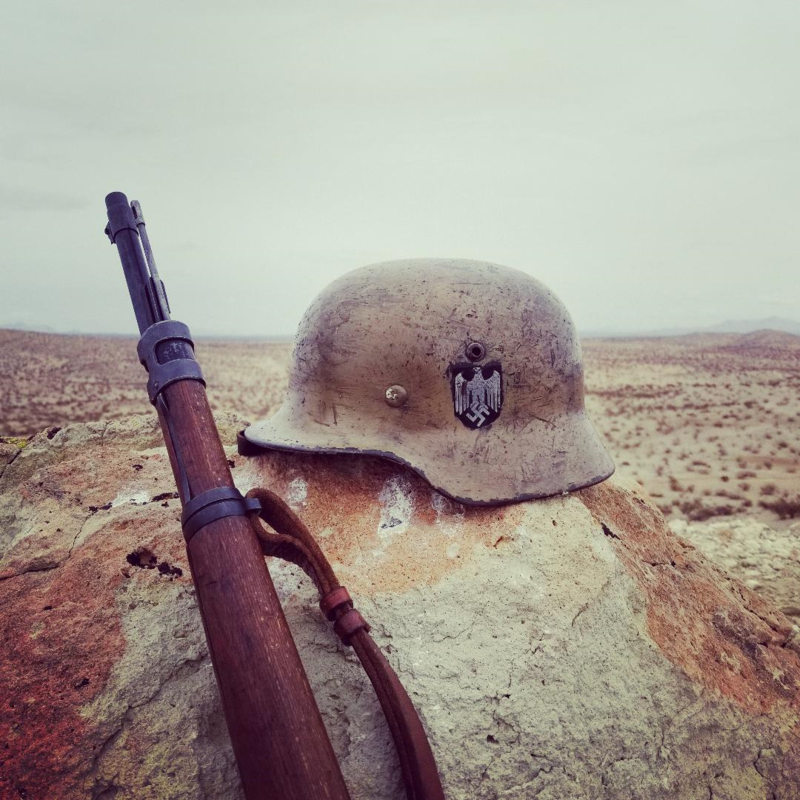 So if you’re looking for a helmet that can stand up to years of hard reenacting or a 100% accurate helmet to display in your collection, my restorations are for you. While I am pretty secretive about my aging techniques, there are a few things I think it’s important to mention. Many of my competitors like to cut corners when aging. One of the most common methods is to spackle rust colored paint onto the helmet or smear the helmet with brown shoe polish to simulate rust then spray a sealant over it and call it aging. From 10 feet away the helmet looks okay, but from up close you can tell what they did. Aging a helmet to look battle worn is a pure art form. It is more then just banging the helmet around and scuffing it up, it’s realizing how paint wears and ages over time, and replicating that process. 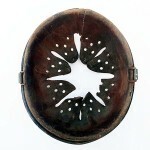 Helmets that are exposed harsh battle field climate exhibit a certain look and feel. I work hard to identically replicate that look. So when I age a helmet for you the wear, smoke damage, rust and scuffs are all real. 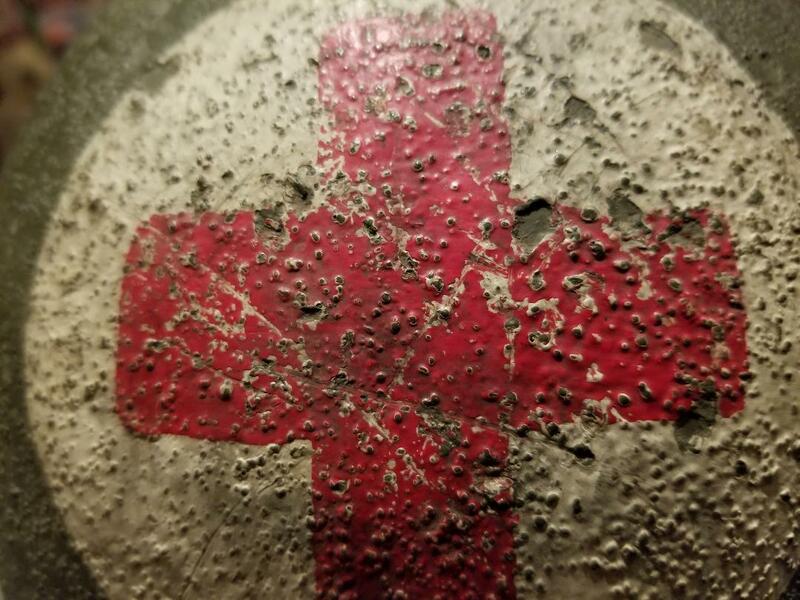 Close up of the patina on a A&SR U.S. M1 medic’s helmet. Aged to give the appearance of battle wear and decades of age. I do not offer fantasy helmets. 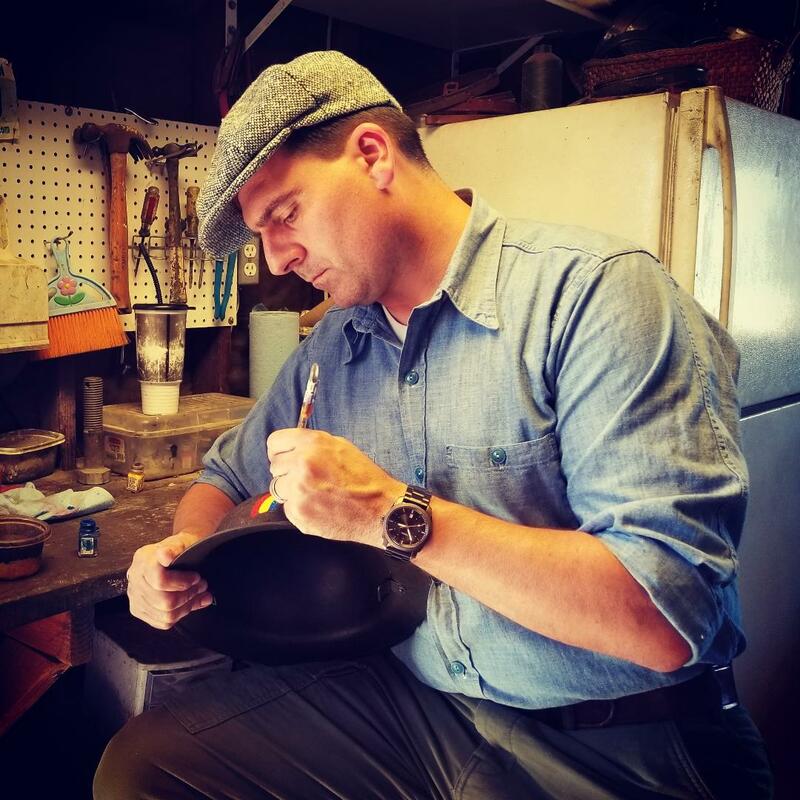 Each restoration I do, whether it is one of the helmets I offer on my site or a helmet I am restoring for a customer has a great deal of research put into it. Everything from the placement of the decal or texture of the paint I back up with historical evidence. The colors I use are all 100% matched to original samples from the era. I do not use guess work, I base each color off the real deal. If I can’t verify it was done a certain way then I don’t offer the restoration. You will notice in the item description I often give reference to what I based the helmet restoration on. 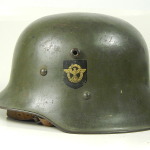 Whether its the French Moroccan Goumier helmet or a Satin black SS-LAH helmet with the correct hand painted decals, rest assured that a great deal of research was done to get the restoration correct.